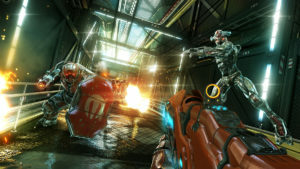 The Shadowgun franchise has become popular for its intriguing story lines, amazing graphics and hooking mobile gameplay. Now Madfinger Games is taking the series to a whole new level, and they claim the upcoming title is their “largest project to date”. Shadowgun Legends is going to be an MMOFPS in which players will fight to keep mankind alive. 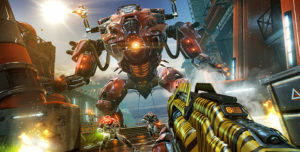 You will sign up as a Shadowgun and try to get as many bounties as possible. This will allow you to upgrade your gear and move forward in the game. Users will be sharing the universe with a plethora of other players, so don’t worry about being lonely in this online world. We haven’t gotten many details, but we expect a very entertaining experience, especially in the graphics department. Shadowgun titles have been called “console-quality games” in the past, and this can’t be the exception. The few screenshots around do showcase impressive visuals. There’s also a teaser video to enjoy, but don’t worry about waiting too long for more information. The full announcement should come in some hours. You can catch it all at the official website, which is now adorned with a countdown timer.